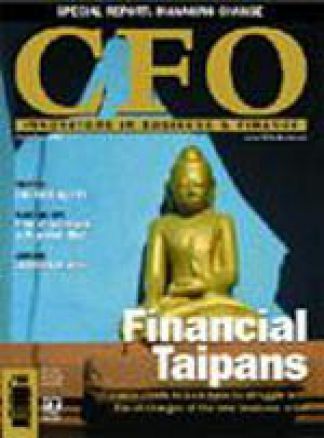 CFO Magazine is a specialist finance magazine for senior financial officers. It deals with all aspects of organising and running a mediumto large organisation, public, private and government. Those aspects including recruitment, management, financial reporting, budgeting, staff issues, external reporting, corporate strategy, accounting standards, risk management, strategic alliances and many others.